Did this this morning, it was fun. 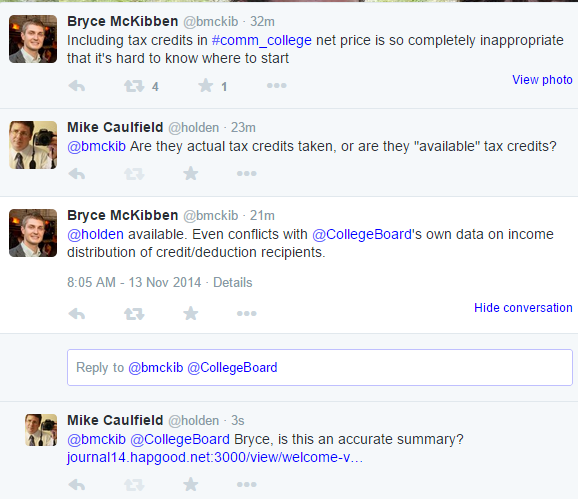 Higher Ed policy wonk Bryce McKibben makes statement on Twitter. We have an exchange, I write it up in fedwiki and link him to it for review. Bryce replies yes, it’s fairly accurate, and suggests an additional link to a think tank report. I review it and add it. From now on, when others post for or against the College Board analysis on Twitter, I can link them to this page and ask what they would add. 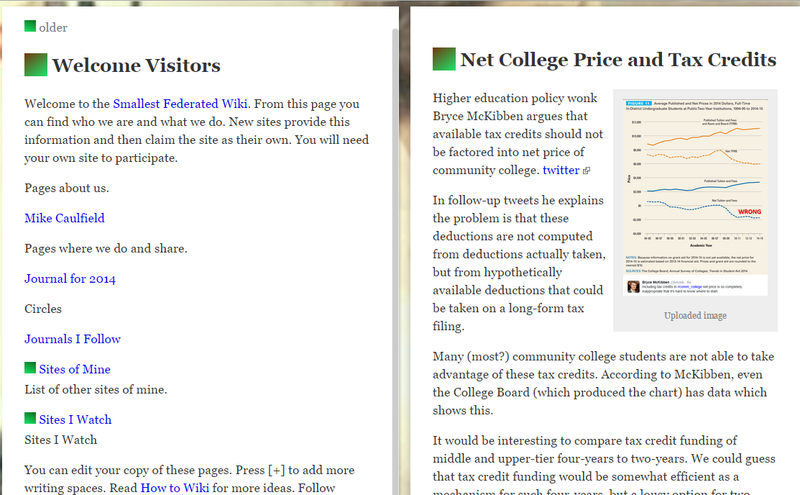 This page is also passed into my feed for forking and extension by others in the federated wiki network. The idea is not to kill StreamMode, but to redirect it, when appropriate, to more recursive and expository tools. Note that using SmashedTogetherWords as wiki page names, then using them in tweets, draws those 2 spaces together.